On the last day of winter in 2005, John committed suicide in his car on a lonely side road of the Blue Mountains to the west of Sydney, Australia. He was six months shy of his thirtieth birthday. It was the culmination of nine years of struggle for John and his wife, as he battled undiagnosed mental illness, a gambling addiction, and an earlier suicide attempt. Despite his wife's love and attempts to understand his condition, in the end nothing could save John from his demons. Tragically, John's story could be anybody's story. In Australia, around 2,100 people commit suicide every year; up to 12% of people affected by mental illness take their own lives (compared with an average of 1.7% for the whole population), and suicide is the main cause of premature death among people with mental illness. But the effects of suicide are even more far-reaching. Its impact on those left behind is frequently devastating and lifelong. The author knows this first-hand. 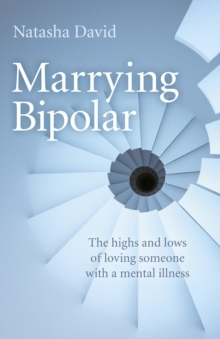 Marrying Bipolar is the account of a wife's struggle to understand the events in her husband's life that would eventually lead to their marriage breakdown and his untimely death. Natasha's experience watching her husband struggle with the complexity of mental illness, has led her understand the deadly role denial has to play, for both sufferer and partners. In the process, the author addresses her own search of ways to address denial of the darkness that resides in all of us, and the compassion needed to heal and rebuild lives after enduring.